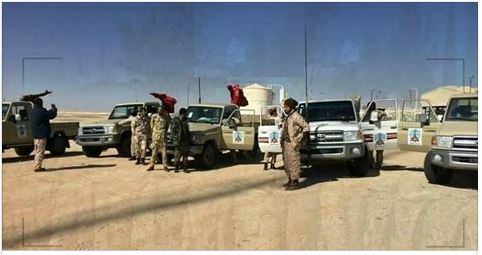 LANA news agency reported three suspected ISIS fighters killed near a Waha oilfield (Photo: LANA). Three suspected ISIS fighters were killed by Libyan National Army (LNA) aligned forces near Waha’s Dahra oilfield on Saturday. The LNA is led by Khalifa Hafter and is aligned with the eastern-based House of Representatives. On the other hand, the LNA-aligned forces suffered two deaths and five wounded. The suspected ISIS fighters were intent on causing damage to oilfields and pipelines, LANA, the eastern-based official state news agency reported. On Friday, LANA reported, there were other clashes near Waha oilfields which had led to the death of two and the injury of two LNA-aligned forces.